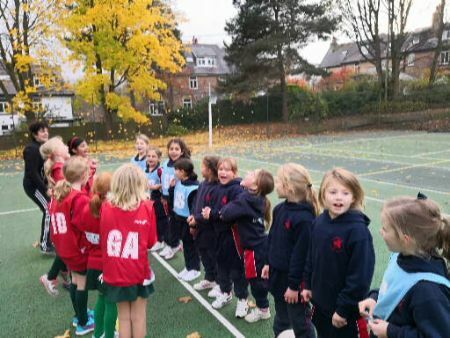 10 girls from Prep 3 played with girls from Moorfield School in our first friendly fixture. The opposition were strong and were very good at intercepting the ball if we were standing still or we had passed it high into the sky. This was a great lesson for Highfield to learn. The opposing Goal Attack was a tall and strong player so converted the possession to goals. 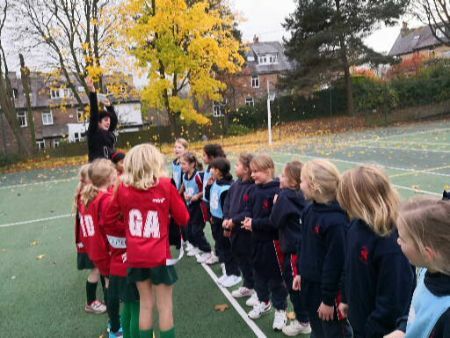 Our U8''s enjoyed their first experience of netball in a match situation and we hope that they can learn a lot from their afternoon.